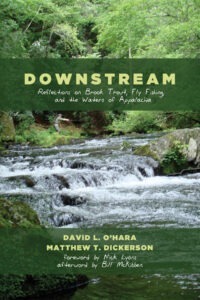 Matthew T. Dickerson of Middlebury College and David L. O’Hara of Augustana College (South Dakota) talk with Historically Thinking host Al Zambone about their book, Downstream: Reflections on Brook Trout, Fly Fishing, and the Waters of Applachia. A mix of memoir, narrative, reporting, and meditation, Downstream explores the relationship between humans and the rivers around them. The conversation moves from brook trout and the elemental facts of fly-fishing, to rivers that the authors fish and love.